Enhanced traffic! Enhanced Leads! Massive boost in Sales! Get ready to have your website ranked on Google and bring substantial traffic to your site. Enjoy a custom Pay-Per-Click audit and genuine strategies! Avail expert advice and boost your revenue in no time. PPC, also known as pay per click, is a popular way of digital marketing on the internet. With the help of attractive advertisements, it generates traffic to the websites. You have to contact a service provider who will apply PPC for your website to promote your business online. Whenever people click on your website and views it, you need to pay for that. PPC targets buyers and makes them visit your site. It gives them broad information about the services and products that you offer. The PPC charges are always affordable and allow small businesses to advertise and promote their businesses online. 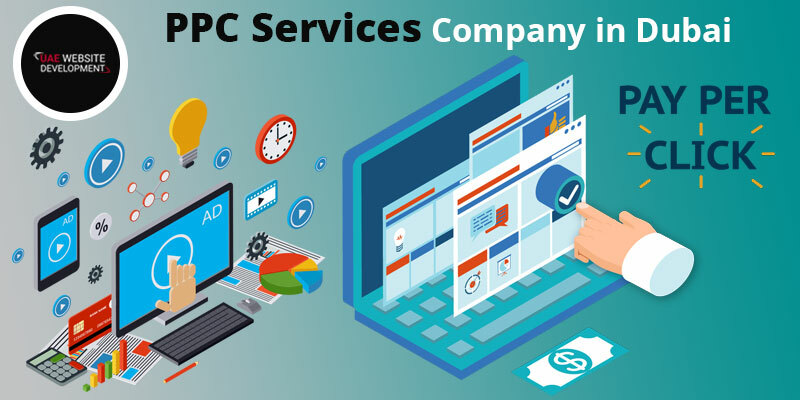 So, if you are searching for a reliable service provider for PPC Services, then you can connect to our team at UAE Website Development. Our team consists of well-trained experts who are available round the clock to assist you with all kinds of Pay Per Click Advertising Services. It is pretty obvious in this digital era that merely having an online business or an incredible line of services and products is not enough. What is even more essential is ensuring adequate promotion of those products and services. In the presence of a massive number of competitors who are in the same domain as yours, advertising becomes even more important. With unique and effective advertising campaigns and strategies, you will be able to reach a substantial number of target customers in every corner of the world. And of course, this will directly generate more traffic to your website and higher revenues for your business. So, are you looking for the best advertising agencies in Dubai? In that case, you do not have to look any further as UAE Website Development is the answer to all your queries and requirements. Therefore, with the assistance of UAE Website Development, one of the top-ranking advertising agencies in Dubai, your business is sure to take a significant leap forward. Hence, get in touch with us and make the most of our advertising services. PPC is a promotional tool that helps in enhancing a business online. Starting from advertisements to publishing on the web, PPC experts cover everything to promote the website efficiently. One of the significant advantages of having a PPC is that it only targets the interested customers. Here, you can accurately know where you are investing your money. This kind of an advertisement is far better than the traditional methods as with the traditional ways, you can never know that your target market is engaging or not. But with PPC, you can see the visibility of your advertisement as you need to pay only for those customers who have clicked on your ad. The budgets with PPC are always flexible, and you can quickly modify it according to your choice. But with a limited budget, you can never expect a huge profit and brand recognition. It totally depends on the competitive keyword setting. With PPC, you can easily target a location with device-specific preference. You can also easily text your target customer at the specific time. Organic search is an important aspect of long-term online marketing. But unlike other organic searches, you can see the results very quickly on PPC. You can start a PPC campaign anytime, and within a few days, you can look at the results. Our team at UAE Website Development consists of well-trained experts who have years of experience in delivering amazing PPC services. Take a look at the list of services that our PPC team provides to our customers. PPC gives you a fast result which you can easily measure. With PPC, you never have to depend on SEO or other business promotional services. It helps you to target the interested customers within a small amount of time. With PPC, you can get advantageous business opportunities. You need to pay only for the successful clicks on your advertisement. With PPC, you can efficiently target the local customers. Our services are always affordable which will suit your budget. Are you searching for the best PPC agency in Dubai? You can directly call us on UAE Website Development helpline number: 042053349. Our experts are always available 24×7 for any kind of PPC management services that you need. You can also directly chat with our experts on our live chat portals. We also have an official email ID where you can send your service request and avail excellent services instantly.